Jorge de la Torre graduated from the University of New Mexico in Albuquerque, Dean’s List, with a B.B.A. in Finance in 1991. He then went to the California Culinary Academy in San Francisco and graduated Dean’s List with an A.O.S. degree in 1993. He also has a Tour Manager Certification from the International Tour Guide Academy, Denver, Colorado. While at school, he worked at La Folie in San Francisco and then, after graduation, worked for the Hyatt Corporation at the Hyatt Waikoloa in Hawaii. Jorge then moved to Vail, Colorado, working for Vail Associates at Two Elk Lodge, which sat 700 people and served about 1,200 meals a day. He then became the Executive Chef at their other locations including Eagle’s Nest, MidVail and Piney River Ranch during the summer. In 1997, he opened the Rendezvous Bar and Grill for the company in Beaver Creek, Colorado and did a weekly T.V. cooking spot on the Vail channel, TV8. In 1998, Jorge went to Palo Alto, California to be the Executive Chef for the Blue Chalk Café and then was offered to be a Chef/ Partner at Pasta Pronto in Vail where they won “Best New Restaurant” by the Vail Daily in 1999. He then went to Philadelphia in 2001 and was a Chef Instructor at The Restaurant School at Walnut Hill College. 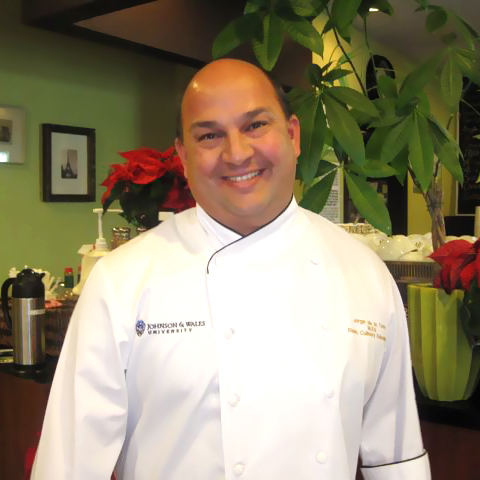 He became the Laboratory Coordinator at Johnson and Wales University in August 2002, became the Director of Culinary Operations and is now the Dean of Culinary Education. Jorge is from Albuquerque, New Mexico and enjoys fly-fishing, skiing, soccer, racquetball, tennis and finding little, ethnic, hole-in-wall restaurants with his wife, Kelly and two children, Gabriella and Jordi. As the nation’s top cheese producer, Wisconsin is home to classic, specialty and artisan cheesemaking. Want to find the essential eats in Denver on the go? Download our app to discover the best places to eat in over 275 cities.